3d Printed Keychain - Anna. A keychain with an unique name, nickname or any special letters on it is always a kind and unmistakable gift to anyone. In case you would like an other name or text you can order it here. 3d Printed Keychain - Balázs. 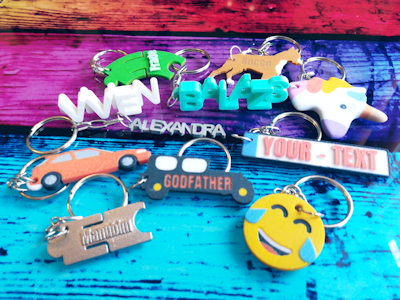 A keychain with an unique name, nickname or any special letters on it is always a kind and unmistakable gift to anyone. In case you would like an other name or text you can order it here.